Have you ever wanted to attach a scanned/emailed bill to a vendor record? 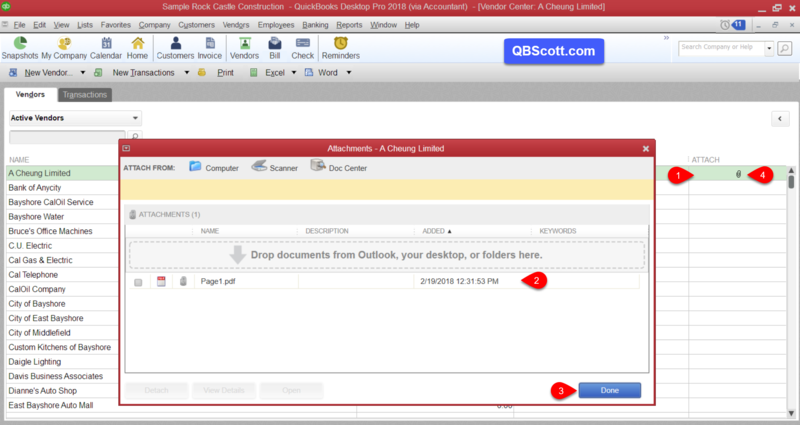 If so, QuickBooks has you covered with their attach feature! 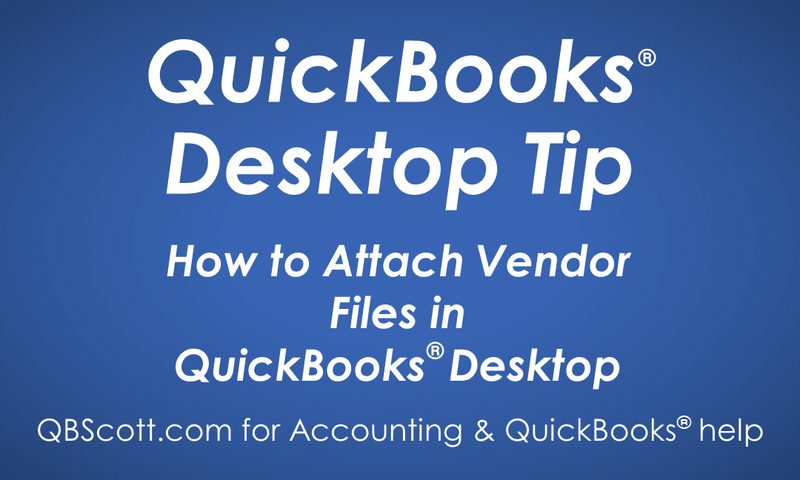 To attach a ﬁle, access the Vendor Center, double‑click on the Attach ﬁeld (1) for the vendor needing the attachment, drag/drop the ﬁle into the Attachments window (2), and click the Done button (3). Your ﬁle is now attached to the vendor record and can be retrieved any time by simply double clicking on the paperclip icon (4) in the Attach column. Click on the screenshot below for a larger view. More information like this can be found in my courses here. Need help with your QuickBooks? I can help you! Click here for more info. 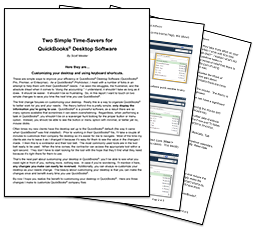 Two Simple Time-Savers for QuickBooks® Desktop Software. Check Your Email for the Report!